NEW BRITAIN - When health care consumers have issues with their insurance company or concerns with medical billing, there is a place that can help. That was one of the messages shared with the audience at a forum by the Office of the Healthcare Advocate Tuesday at Gaffney Elementary School. 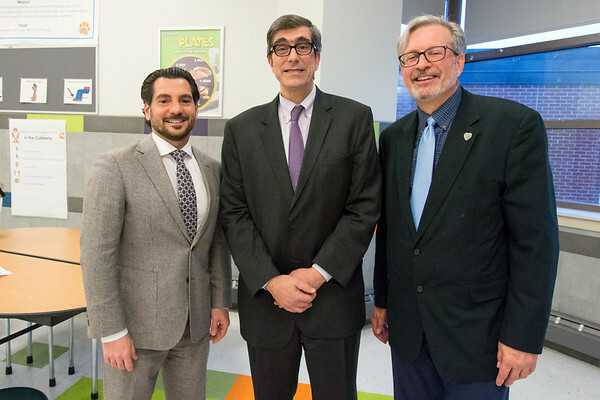 State Rep. William A. Petit Jr. and state Sen. Gennaro Bizzarro were on board supporting the forum. The Office of the Healthcare Advocate (OHA) is an independent State Agency located at 450 Capital Ave. in Hartford. The agency has a team of about 18 employees and attorneys, paralegals, nurses, and consumer information representatives to better serve the community. The employees speak different languages; brochures and information provided by the agency are also translated into different languages. 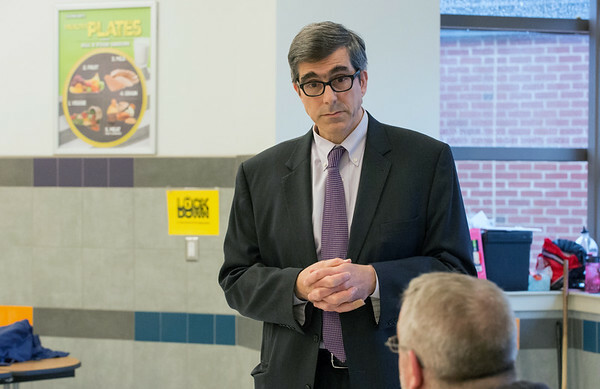 Ted Doolittle, health care advocate of the state of Connecticut, spoke on behalf of the OHA at Tuesday’s forum. OHA works with general things that would help the health care consumers in the state as well as represents consumers with health care related cases. The cases range from simple to complex, Doolittle said. OHA helps individuals having trouble with any type of insurance, including private insurance, work insurance, Medicare, Medicaid and even temporary types of insurances. The agency can help individuals with such cases at different stages of the process, but their recommendation is the earlier the better. Complaint forms can be filed by phone call, through e-mail, through the agency’s website and in person. According to Doolittle, OHA receives more than 10,000 calls a year. Somewhere between 5,000 to 7,000 of those calls become what they call a case, where they actually have to not only advice the consumer but collect medical records along with other processes to be able to help them appropriately. Getting medical bills covered completely or partially for the consumer is one of the ways in which the agency helps. “This office has now saved the consumers of Connecticut $100 million,” Doolittle said. Last fiscal year, the agency saved residents of the state about $13 million, he added. OHA works closely with Medicare, Medicaid and the department of social services that runs Husky and Medicaid. They have a good relationship with the consumer representative part of Medicaid and have contacts for a lot of the insurance companies, Doolittle said. He also said that a complaint can either first be filed through the insurance company or through OHA. Folks who are trying to get their cases kicked off as quickly as possible should bring as much supportive information and documents as they have to accelerate the process. However, if the consumer does not have documents related to the case, OHA will help collect those documents. To start a case or for more information about OHA, email the agency at healthcare.advocate@ct.gov or visit their website at www.ct.gov/oha/site/default.asp . Posted in New Britain Herald, New Britain on Tuesday, 9 April 2019 20:42. Updated: Tuesday, 9 April 2019 20:45.